BFF, M, me, and E before semi-formal sophomore year. Freshman year of college I met three amazing women. We were all freshmen and we were all pledging the same sorority. We met by chance, one by one, but soon we became best of friends. Sophomore year we all lived together and learned more about each other than we had bargained. After drifting apart junior year when BFF went abroad, we were determined to keep our friendship alive senior year. Last night, after almost two years of separation, we finally reunited! M flew in from Miami to break bread with us at Ceiba. I couldn't be more pleased that our friendship has lasted the test of time (and distance). E. M, me and BFF before formal freshman year. 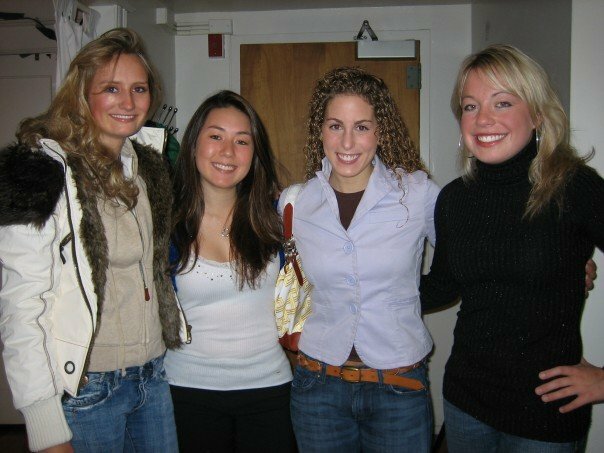 BFF, M, E and me after moving into together sophomore year. 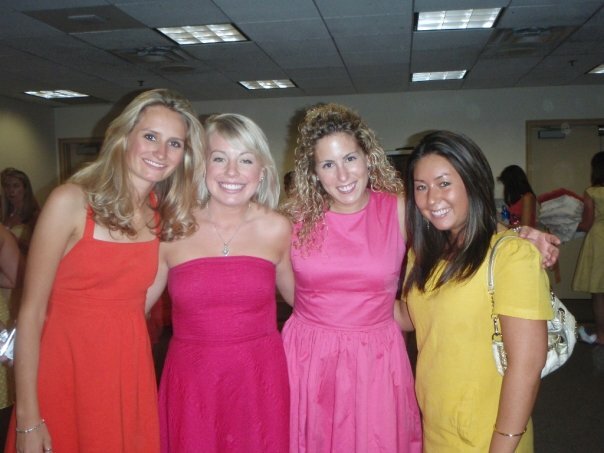 BFF, me, E and M during sorority recruitment senior year.